Rates are $109-$149 per night double occupancy, $10 each additional person per night. A 6% city sales tax and 6% state sales tax will be added. All major credit cards accepted. Daily, weekly, monthly, corporate, and group rates are available. This is a smoke free facility. The patio is available for smoking. Ample paved off-street parking is located in the back. Check-in is flexible. Check-out Monday through Saturday is 11 am, Sunday at noon. Weekend gourmet breakfast is served between 8:30 and 9 am unless other arrangements have been made with the innkeeper in advance. An extended continental breakfast is available 6 to 10 am weekdays. Please let us know of any special dietary needs. 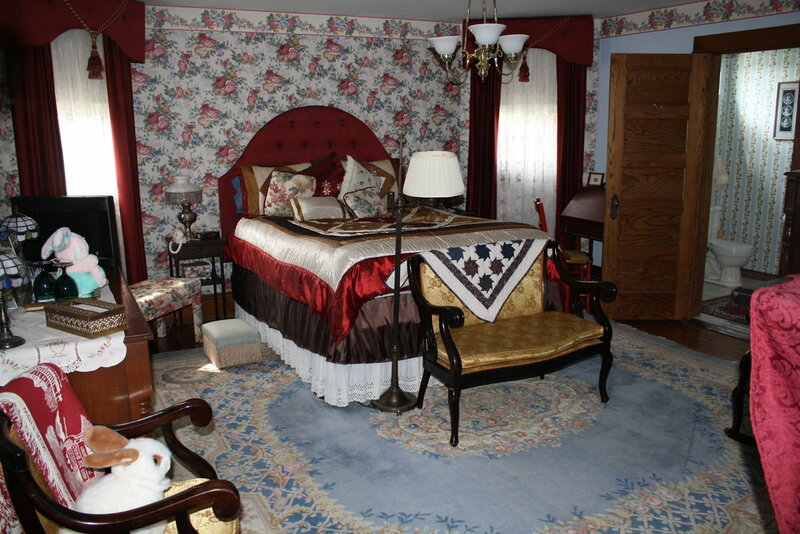 Five spacious, air conditioned guest rooms have been professionally decorated in period furnishings and antiques. All rooms feature a fireplace, private adjoining bath, cable television, wifi, iron and ironing board, hair dryer, and desk. Each room includes a combination whirlpool/tub and shower, which invite you to unwind, relax, and indulge in romantic elegance. Snacks, soft drinks, and an ice machine are provided for your convenience. A cozy country room with queen maple bed, parlor, art deco furniture, and private bath is like a breath of country freshness. A romantic Victorian with queen brass bed, marble mantle, and lovely private bath give this room a romantic flair. A classic Victorian with double bed. 1800s tiger oak furniture highlights this romantic room. The spacious bath allows one to indulge lavishly. A queen sleigh bed, bird's eye maple furniture, and private bath give this extra large room a cozy atmosphere. 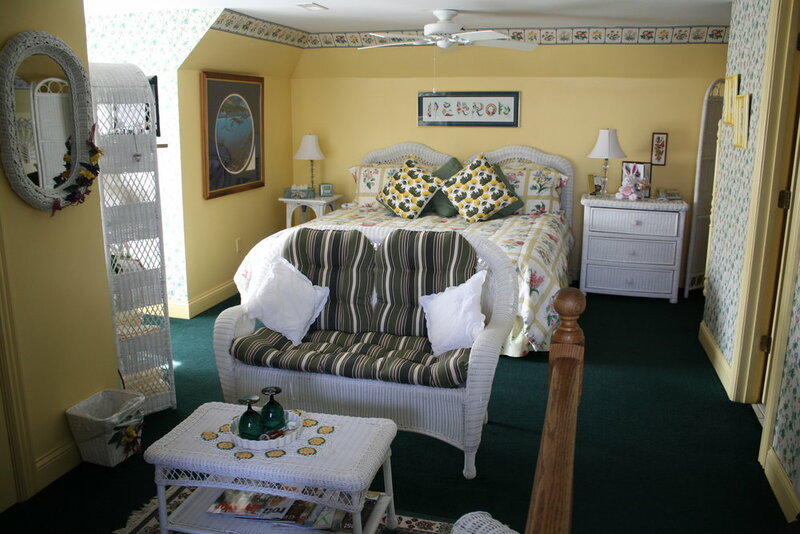 This third floor "Honeymoon Suite" is bright and cheerful. Its king size bed and sitting area offers a private getaway space with all the amenities for relaxing enjoyment. To guarantee this reservation, please call 304-845-7250 with your credit card number.